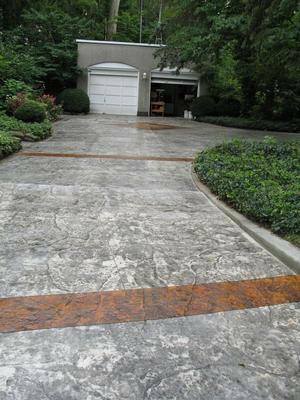 Decorative Curb and Concrete is well-known in the Newark and central Ohio area for his high quality of work and service while doing concrete work for some of this area's largest home builders. 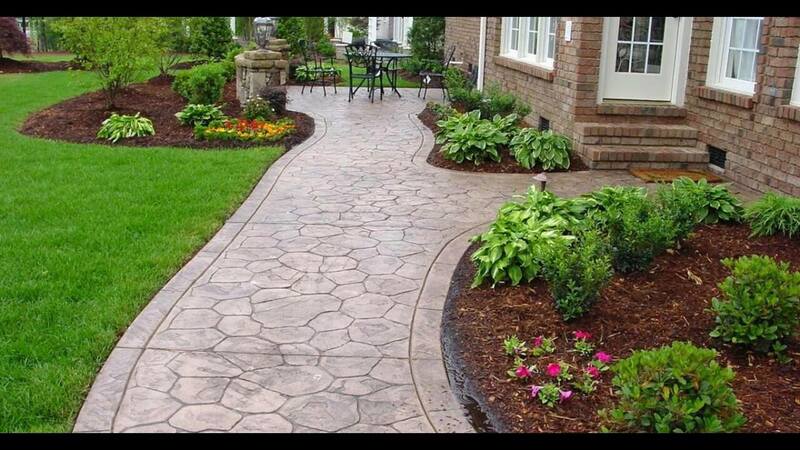 Decorative concrete is a new way to add charm, value, and elegance to your home. 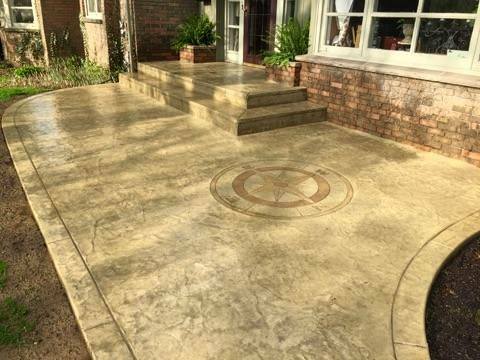 The concrete is poured and colored and then imprinted with a stamp to create the appearance of natural stone, slate, granite, brick or cobblestone. 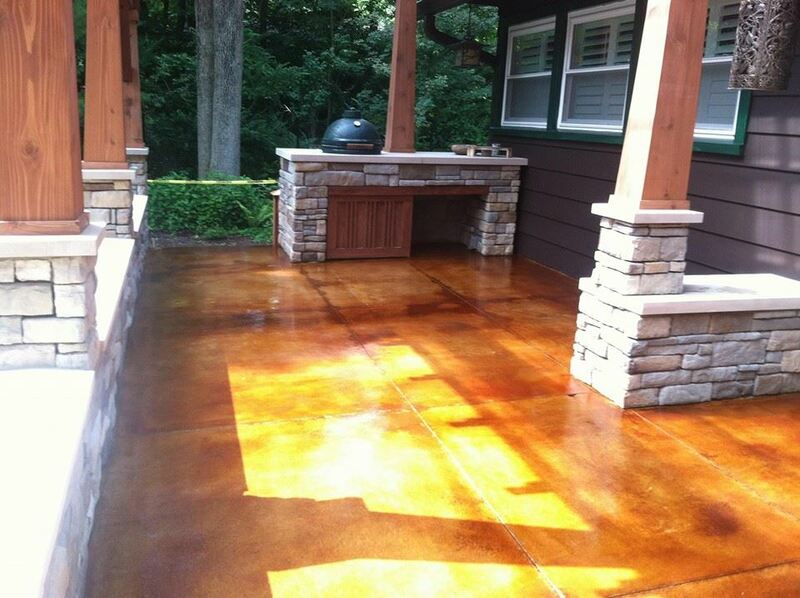 After a protective sealant is applied, the new concrete resists oil, water, mildew, and stains and is stronger than conventional concrete. 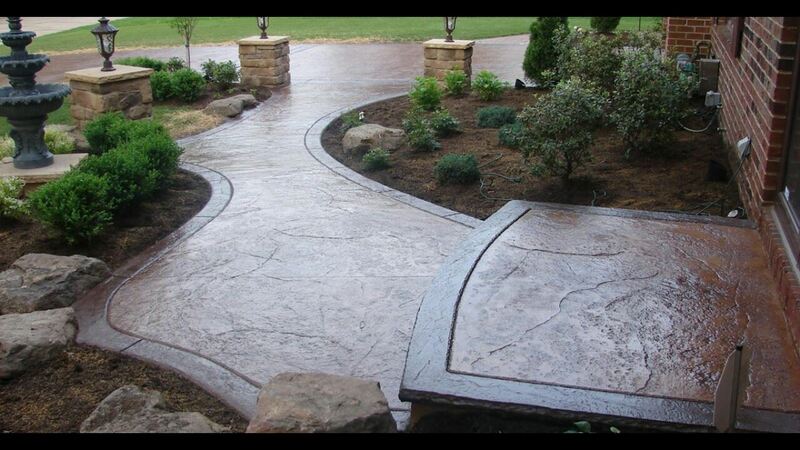 I want give the guys at Decorative Curb and Concrete a huge shout out and thanks. Anthony and his crew we able to squeeze me in a very tight schedule due to weather and did an amazing job for my patio around my pool. I was a quality assurance inspector for the Army Corps of Engineers and these guys know how to do the job right the first time. Outstanding work and a job well done!!!!!!! Great work on our sidewalks! Crew was very polite and worked hard. Thanks for the great job! 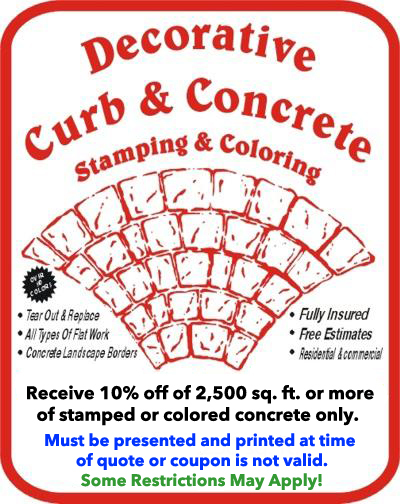 Would highly recommend you to anyone in need of concrete service. Anthony's crew was very personable, polite, and hard working. 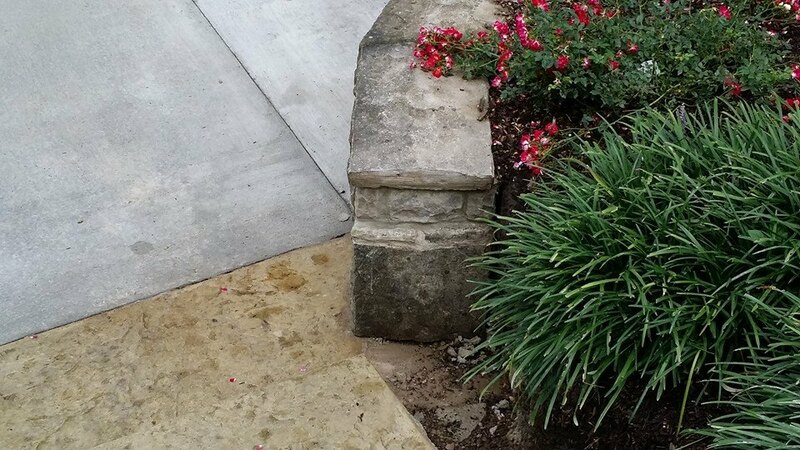 They were able to redo our sidewalk and front steps to match our stone house that was built in the 1920's. 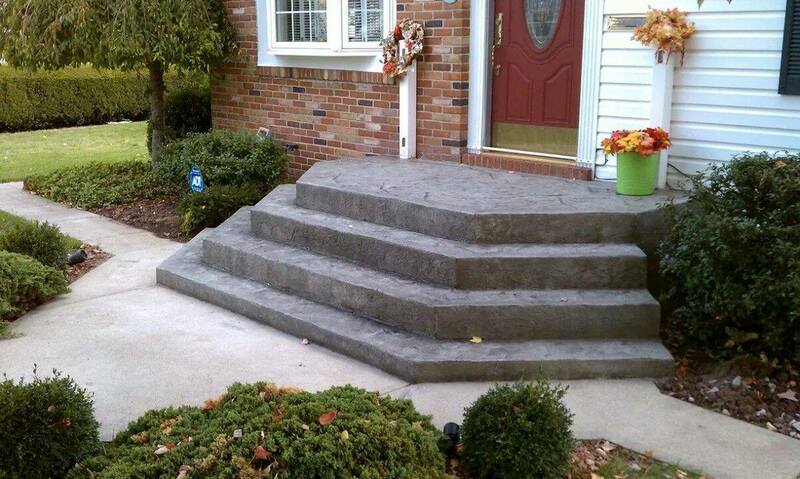 Excellent workmanship! Anthony and his team did an INCREDIBLE job on our barn rec room. It looks incredible! What a difference this floor makes. It was a nice space before the floor was done. 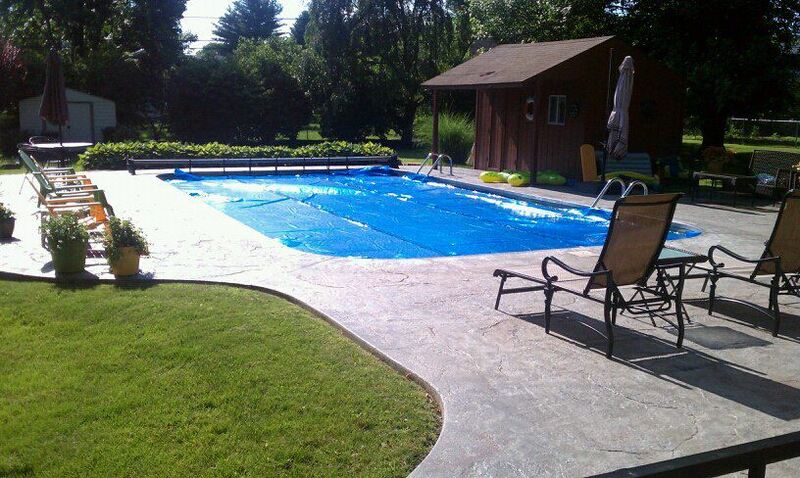 Now it's warm and inviting. It doesn't show dust and dirt like it did before and now it's much easier to clean. The irregular pattern is the coolest part. We thought about trying this ourselves, but it clearly takes skill to do this kind of job properly and these guys are pros. We highly recommend them. We couldn't be happier with the finished look of our new driveway & sidewalk. The crew was top of the line & great with my boys who were very interested in watching & asking questions. If we ever need more concrete work done there is no question where we will go. 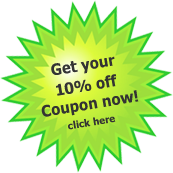 Thanks for the great work!